FOG welcomes new year in style every year. This event is attended by over 1000 bay area locals and one of the most sought out in the east bay. Welcome 2018 – Bring in 2018 with some class, glitz and glamour.. 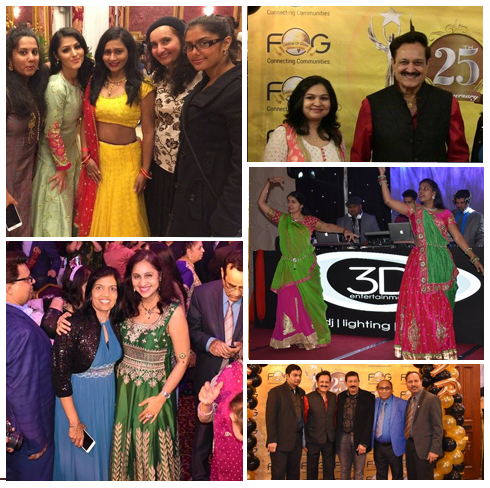 Individual tickets at $95, Couple tickets $170, Table of 10 – $750, Corporate table of 10 – $1500, Sponsor table of 10 – $2500, Children 12 and Under $45 … Grand Indian buffet, Unlimited drinks, hosted bar, exclusive dance performances, DJ Night.